All members are notified regarding completing their Annual Renewal in November each year. The Annual renewal must be completed by all eligible members by 1 January each year. 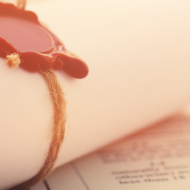 If you fail to complete the form, it may lead to regulatory penalties, including administration charges, being applied. Payment must be made at the time of renewal via the website, unless otherwise agreed with ICAS. Reduced subscription rates must be applied for and approved by ICAS in advance of payment. For more information see subscription categories. We will send email confirmation of your renewal being submitted within 48 hours. If you have not received an email confirmation within this time please contact us. If you have a payment plan then you will not receive confirmation of your renewal being complete until your fees have been paid in full. If you do not have a payment plan in place, then you are expected to pay your fees by credit/debit card online. Renewal of your membership will only be confirmed when payment for all fees due is received in full. Where payment is not received in full for all outstanding amounts, this may affect your continued membership of ICAS. Where your eligibility for a subscription rate changes, we will only refund you for any overpayment until 31 March of that subscription year. If you decide not to renew your membership before 31 March in any given subscription year, after already making payment, ICAS will refund any subscription fees paid for that year. Refunds will be issued within 28 days of approval by ICAS. 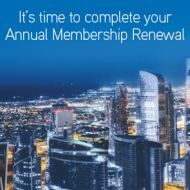 If you do not complete your Annual Renewal including making payment for your subscription fees, you may be at risk of removal from membership for non-payment under Rule 6.5 of the ICAS Charter Rules and Regulations. ICAS will make every reasonable effort to contact you before you are removed from membership. If you are not intending to renew for the next year, please write to us and request to be resigned. This will prevent you from being sent further reminders, or receiving telephone calls or emails from ICAS staff attempting to trace you. Find out more about resignations and cessations.